For those of us that like a smoked brisket to bite back, this hot and spicy brisket rub will do the trick. Lots of pepper in this recipe provides you with a nice bit of heat on the tongue. Choose your dinner guests wisely for this one! Some folks may not appreciate the heat level this dry rub brings to the party. The ingredient list for this dry rub recipe contains lots of pepper, along with onion, garlic, sugar and salt. Mix together 1/4 cup each of paprika, hot chili powder, cayenne pepper, black pepper, onion powder, garlic powder, brown sugar, and kosher salt. Let the brown sugar dry overnight on a cookie sheet before combining it with the spices. This will make enough seasoning for three or four beef briskets. 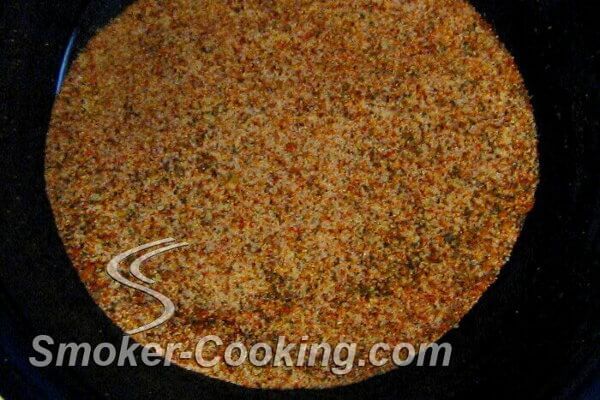 Many of my friends think this is the best brisket rub around! Put the dry rub on the brisket and wrap it in plastic. Let it rest in the fridge for one or two days so the heat and flavor have time to sink in deep. Oak or mesquite smoke works well with this rub recipe. Smoke it at 225 degrees Fahrenheit for 8 to 12 hours, or until the internal temperature reaches 190 degrees. 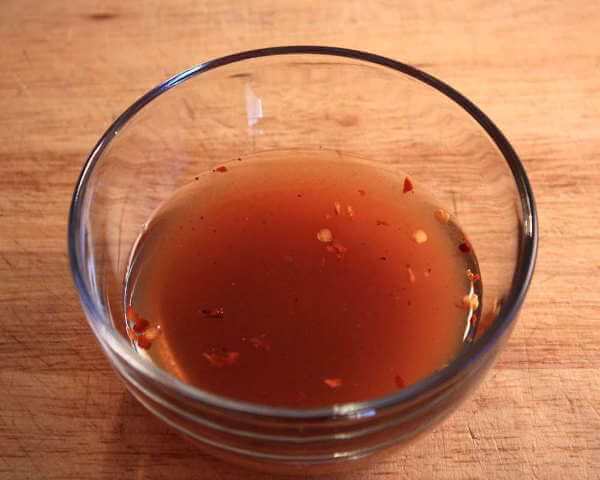 As your brisket smokes, baste it with this mixture...one bottle of beer, two tablespoons of oil, one teaspoon of ground cayenne pepper, and one teaspoon of black pepper. Don't start basting until four hours into the smoke so as not to wash off the spicy brisket rub too soon! Baste the smoking brisket once an hour until done. For an added kick, serve it up with jalapeno corn bread…and plenty of ice-cold drinks!